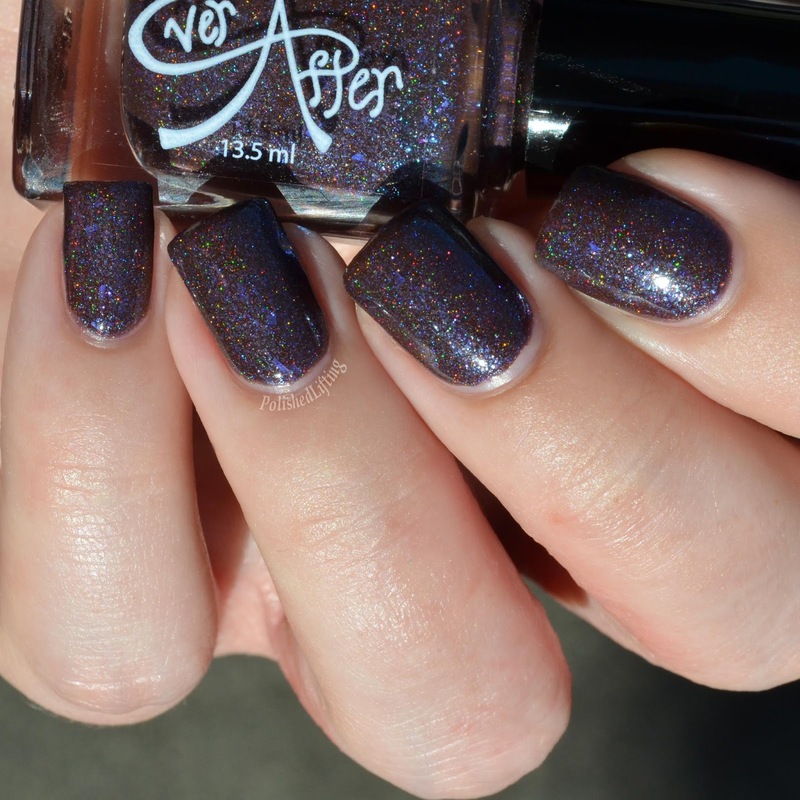 Ever After Polish is one of those brands that makes me fall in love all over again. Once I've settled on a favorite shade, I always change my mind with the latest release. Today's post features the upcoming Wicked Collection. Let's kick things off with a macro collage. 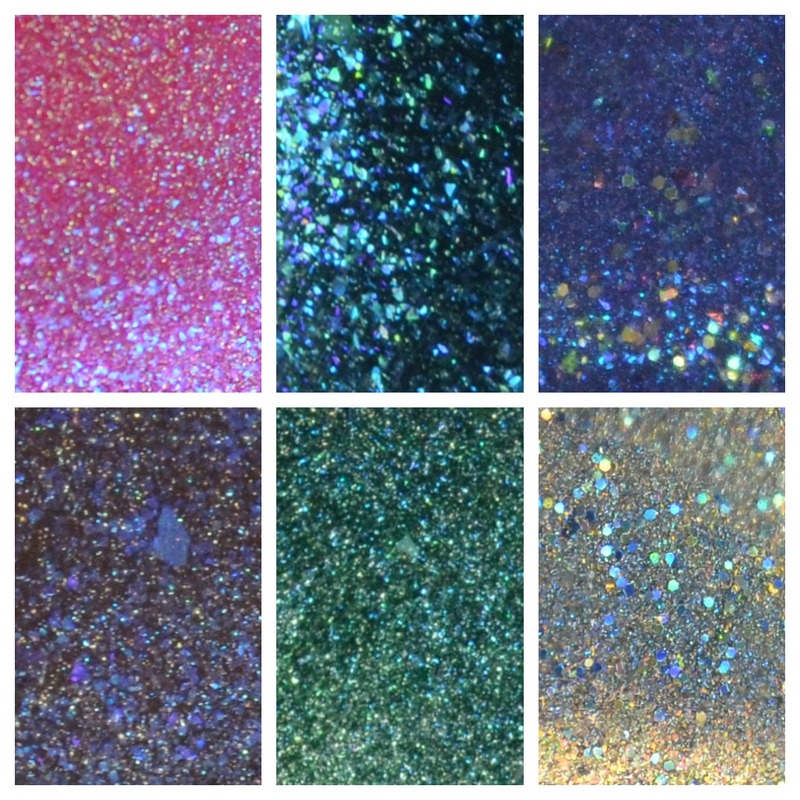 Notes: The shimmer is best seen in the macro collage above and the single finger close up. 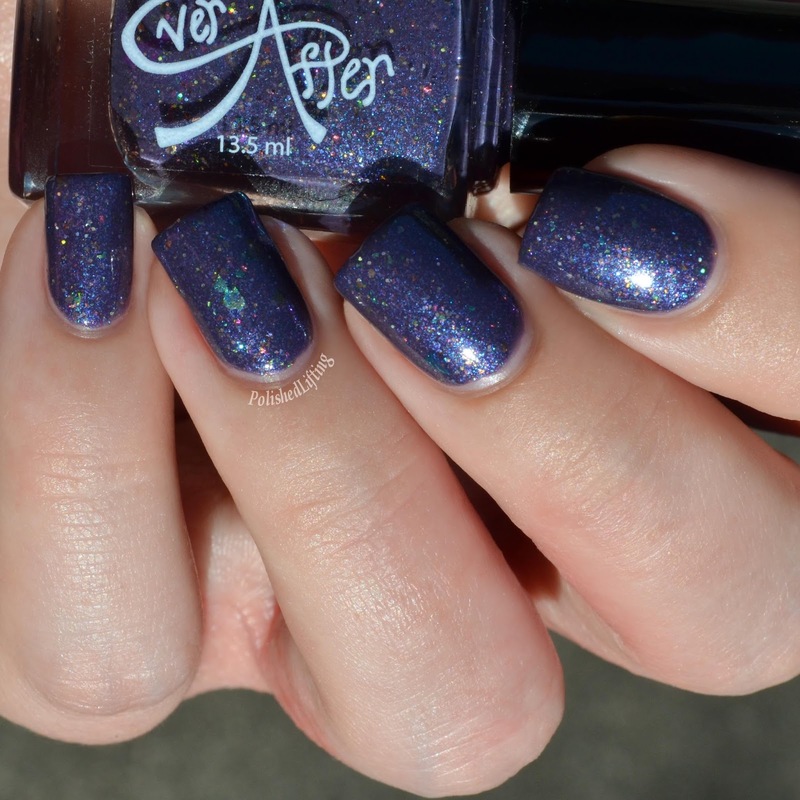 Notes: This one comes off a bit understated in photos, but in person the flakies really stand out. Notes: Blue shimmer and multi chrome flakies are a winning combo for sure! Notes: This is one of the more interesting color/flakie combinations in my opinion. 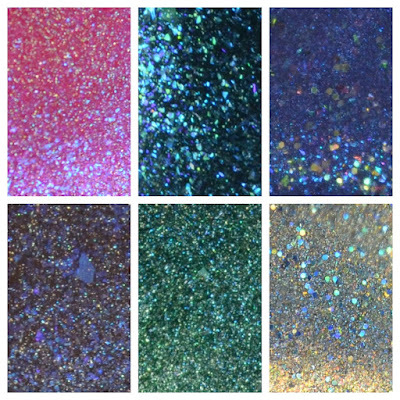 I like that the flakies are similar but not the same as the base shade. Notes: I can't think of a more perfect way to capture the Emerald City! Notes: This was my favorite shade in this collection. I love the contrast between the light brown holo and the gold shimmer. 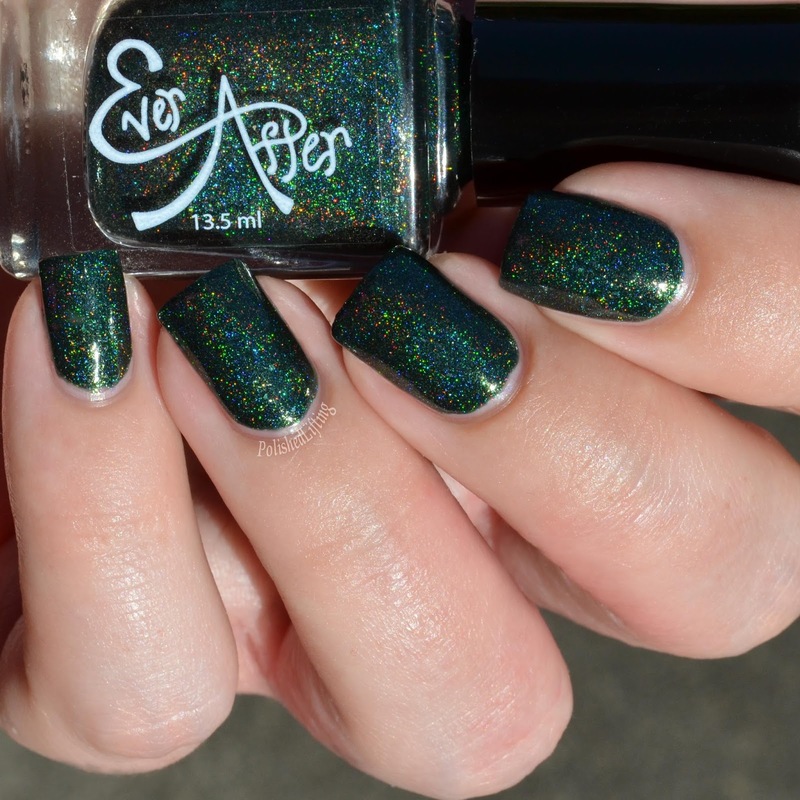 The Ever After Polish Wicked Collection will be available on Monday, September 19th and at Polish Con.